How to transfer videos and music to Nexus One phone? 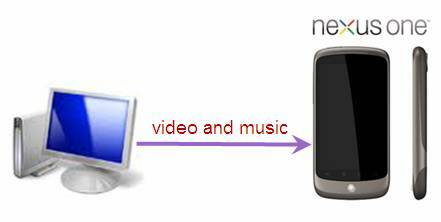 Home » How to transfer videos and music to Nexus One phone? The Nexus One is the first phone using Android 2.1, making the Google Nexus One phone a strong competitor against Apple iPhone 4 and the HTC Droid Incredible. The screen is an outpour of 16.7 million colors and the display is 800 x 480-pixel, good enough for you to browse photos and watch videos. A good news for movie lovers is that the Google Nexus One supports video playback duration of up to 7 hours, and music up to 20 hours. Well, I know that’s not our topic but… it is somewhat related to our concern: transferring video and music to Nexus One phone. If your source video or audio file is encoded by above mentioned codec, please move on to the next step. Otherwise you need to convert the video or audio to supported format for Nexus One before transferring video to Google Nexus One first. 1. Use the USB cable that came with your Nexus One to connect the phone to your PC, and you’ll receive a notification that the USB is connected. 2. Open the Notifications panel and touch USB connected. Then touch Turn on USB storage in the screen that opens to confirm that you want to transfer files. The Nexus One phone is connected as USB storage, and the screen will indicate that USB storage is in use and you receive a notification. 3. The SD card of Nexus One is mounted as a drive on your computer. You can now copy videos from PC to the SD card. During this time, you can't access the SD card from your Nexus One or share your phone's data connection with your computer via USB. 4. When the videos are copied to the SD card of Nexus One, you can disconnect your phone from PC. First unmount the SD card on your PC, then open the Notifications panel and touch Turn off USB storage. What if the video formats are not supported by Nexus One? Is there anyway to make Nexus One play movies, TV shows, Flashes and general videos that are not encoded in accepted codec? Surely there is. In the following guide I will show you a way enjoying videos of AVI, MOV, TiVo, FLV, MKV on Nexus One. The tool I use is Pavtube Video Converter. You may access a trial version of Video to Nexus One Converter and try it out. Step 1. Load Videos to the Video to Nexus One Converter. Install Video to Nexus One Converter and run the application. The interface is intuitive and easy to operate. 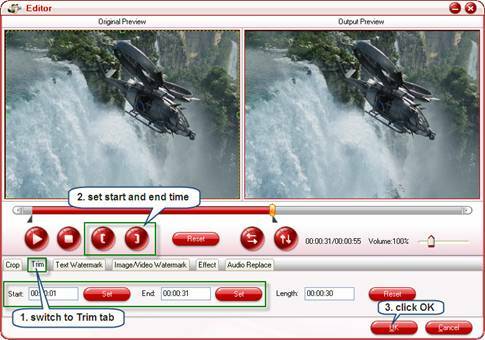 Click on “Add” button to import source videos, or drag and drop videos to the program. This Video to Nexus One Converter is able to convert various video formats, such as TiVo, AVI, MP4, WMV, MPG, MKV, FLV, VOB, F4V, FLV, etc. To convert commercial DVDs to Nexus One, or rip blu-ray movie to Nexus One, you can have a try with Blu-Ray to Nexus One Converter. Step 2. Select Nexus One as output format. Click on the “Format” bar and there are various output formats for you to choose from. 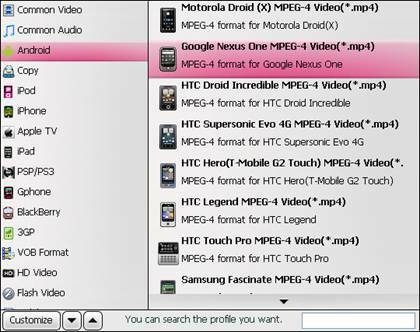 As we’re converting videos to Nexus One, you may follow “Android”-> “Google Nexus One MPEG-4 (*.mp4) format. This format gives video of 480*320, which looks fine on Nexus One. If you’d like to create Nexus One video of better quality, click on “Settings” and set File Size to 800*480, and bit rate to 1500/2000/2500. Step 3. Start converting videos to Nexus One optimized video format. Now click “Convert” button to start converting videos to customized Nexus One video. Wait till the conversion finished. Luckily the Video to Nexus One Converter is of high conversion speed and usually you do not have to wait long. Step 4. Transfer videos to Nexus One. After conversion completed, the video clips are ready to be transferred to Nexus One for playback. Refer to above how to transfer videos to Nexus One. Extract music from video for playback with Nexus One? Convert video to Nexus One audio? It is very simple to extract sound track from videos. You can convert every video that loaded to the converter to Nexus One music. Simply select desired audio format in Step 2 (see the above guide). For example, you may follow “Common Video”-> “MP3 – MPEG Layer 3 Audio (*.mp3) or “AAC- Advanced Audio Coding (*.aac). What if I just need partial of the track, not a full length? Well, here you are advised to use the Trim function in the Editor of Video to Nexus One Converter. Select the item you want to trim, click “Edit” button, then switch to “Trim” tab to set start and end time. Always trim the video before setting output format. The picture above reveals that I cut the video length from 55 secs down to 30 secs. I then back to the main interface of Video to Nexus One Converter, set output format as MP3, and click “Convert”. Few seconds later, I get an MP3 file of 30 secs. With the Google Nexus One, up to thirty minutes of video can be shot in a 720 x 480-pixel resolution, surely you can watch the videos on the smart phone, but when you feel like posting your shootings to Youtube, FaceBook, Viemo, etc, this powerful Pavtube Nexus One Converter also helps you to customize Nexus One shootings (H.263 or MPEG-4 encoded videos) to Youtube, FaceBook with proper formats, size, and duration. But maybe I would leave it in another guide, since that’s not today's topic. Finally, hope this video to Nexus One guide helps.